Though it may not feel like spring in certain parts of the country this week, the Spinnaker Recreation Staff has already scheduled many fun-filled activities for our guests and owners. Before your spring vacation, stay up to date on local events by visiting the Calendar of Events for Hilton Head, Branson, and Ormond Beach. In addition, Spinnaker Resorts offers a variety of activities for the whole family! We asked each Recreation Director to name their favorite activities of the spring season, and following is what they have in store for you. Fort Mitchel Civil War Tour: History is alive in the Lowcountry and this tour is a must see for any Civil War history buff. 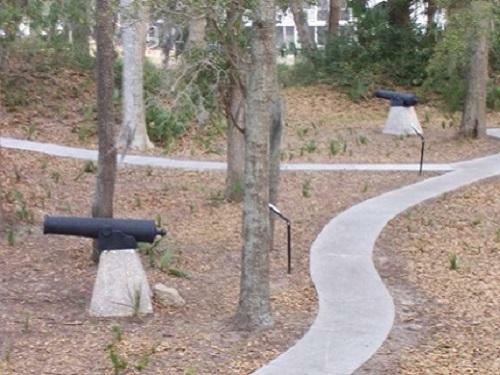 The earthworks gun battery located on Skull Creek was constructed to defend Fort Walker and its coaling station on Port Royal Sound. Built in 1862, it was named in recognition of Major General Ormsby McKnight Mitchel, who died of yellow fever while in command over Fort Walker that same year. Guided by local historians from the Heritage Library Foundation, you will learn about Fort Mitchel, the curious life of Major General Mitchel, and several forts that stretched across Hilton Head Island with more than 40,000 troops, former slaves, and support personnel. All proceeds of this tour go toward the library’s valiant historical conservation efforts on the island. 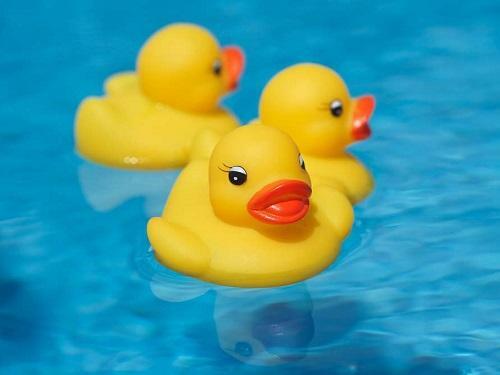 Duck Races: On your mark… Get set… QUACK! Join your recreation team poolside and adopt a duck to try your luck. This proven crowd pleaser is a great time for all ages and your $1 donation goes to support our local waterways and marine life through the Port Royal Sound Foundation. Ducks drop on Tuesdays at 4:00 p.m. at Bluewater Resort and Marina and Thursdays at 4:00 p.m. at Waterside Resort. Stop by and cheer your favorite little fella on to victory! Prizes will be awarded to the top finishers and participants. Anytime Crafts: Starting this spring, you can be creative whenever the mood strikes you. We know that your vacation time is precious and many of you have a very tight schedule that may not match up exactly to our program times. We’ve got your back and want you to have access to crafts whenever you want! Come to the Cabana at Bluewater or the Craft Room at Waterside during daily recreational staff hours and you can purchase from a selection of simple craft projects that will become treasured vacation memories. Perfect for those unexpected rainy days, if the kids decide they “have nothing to do”, or some special one on one time with a friend or family member by the pool. Spinnaker’s Annual Easter Egg-stravaganza: It’s time for Spinnaker’s Easter Bunny to “spring” back into action for our 5th Annual Easter Egg-stravaganza at our Bluewater Resort and Marina. Come hunt down more than 1,000 eggs filled with candy or a prize, egg decorating, and don’t forget to visit the Easter Bunny to take a great vacation memory photo. This free event is Friday, April 14th at 11:00 a.m. and is open to all Spinnaker Resorts guests ages 2 to 14, currently registered at one of our Hilton Head Island Resorts. Don’t miss it! Pancake Breakfast: We are very excited about introducing our Monday Morning Pancake Breakfast. 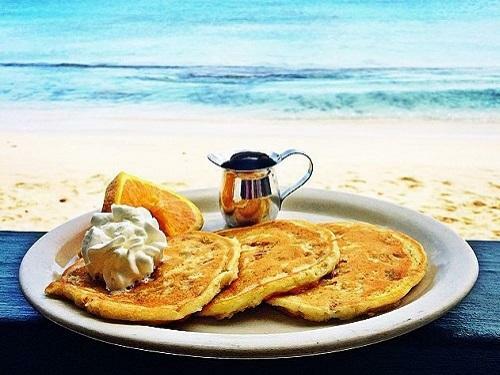 We will be serving guests 3 pancakes right off the griddle with butter, powdered sugar, maple or blueberry syrup and whipped cream. There will be a choice of apple, orange or cranberry juice. Guests may also have a cup of coffee or hot chocolate. You can also add $1 and have a morning mimosa with breakfast. We anticipate a great turnout for this because who doesn’t love a pancake breakfast? Water Bottle Decoration: Go Green and decorate your own refillable 16 oz. stainless steel water bottle. This is a great alternative to buying bottled water and you can use it on your morning walk or beach walk. This craft is perfect for all ages. You can design your bottle for personal use or as a great gift item. Be proud that you are doing your part to keep our environment cleaner by using the refillable bottle! 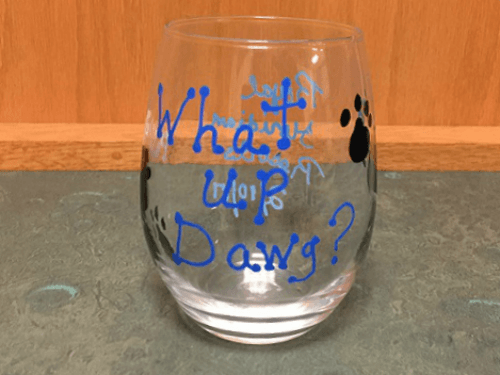 Paint a Wine Glass: Our favorite, Painting Wine Glasses, is a brand new craft as a part of the Royal Floridian adventure. We have had a great demand for this craft and we are very happy to be able to provide this experience for our guests. Try fun phrases, personalize it with your name or hobby, or celebrate a birthday or event. These are all great ideas for your wine glass. Wax Candles: Last year sand candles were a great hit! This season we decided to turn it up a notch with colorful wax candles. They can be made with your own colorful flair and they come in a travel safe jar with lid, so guests driving or flying can participate. This is a super fun family craft and easy to do for all ages. Movie: Enjoy a relaxing Saturday Matinee Movie with the family or friends in the Royal Floridian South Gathering Room. The movie is announced on Saturday mornings on the lobby display board. It’s complimentary and we also serve popcorn and lemonade while you enjoy the show. “It” show with the Hughes Brothers: What’s more important than seeing “it”, hearing “it”, and feeling “it”. Sign up today to see the Hughes Brothers Show! 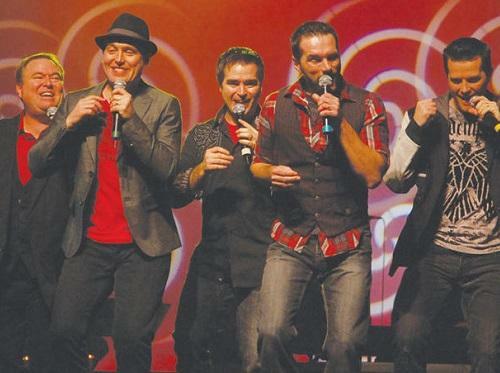 Between the five brothers, the five wives, and their thirty-nine children, the Hughes Brothers Show is the world’s largest live performing family. This talented family does arrangements from Broadway to pop, and everything in between. This is one of our most popular activities. Not only do you get to watch the performance, but afterward you get to meet the Hughes Brothers! Ride the Ducks: Climb aboard a WWII amphibious vehicle and experience an exciting tour of Branson on both land and water. You will enjoy a light breakfast at the Place View clubhouse at 9 a.m. and board the ducks at 9:20 a.m. All riders receive free wacky quackers! We are so excited to start off the spring season with these incredible activities. Let us know what your favorite activities are and share photos of your DIY crafts on social media!